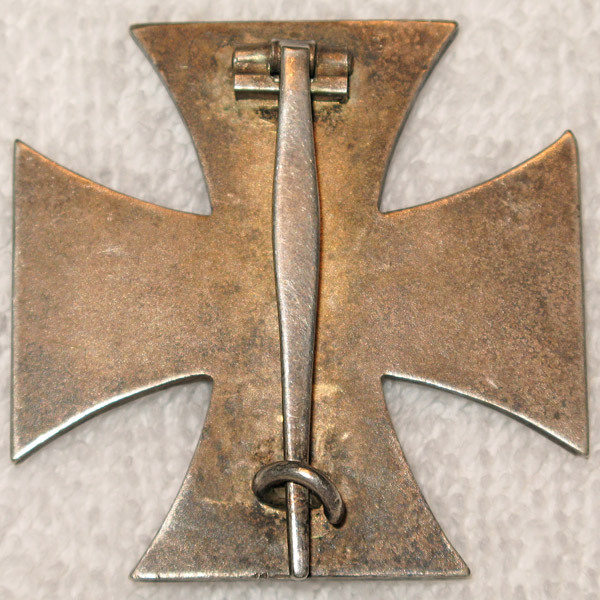 Iron Cross 1st class, EKI (Eisernes Kreuz I Klasse mit Etui) by Klein & Quenzer (65). 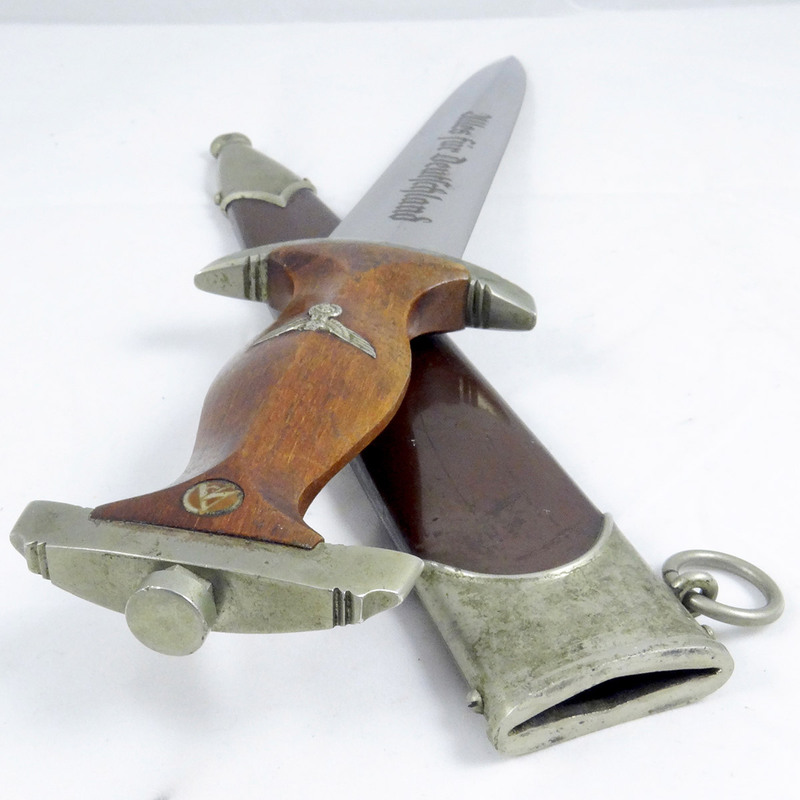 Though unmarked, this German WW2 EKI bears all of the hallmarks of the K&Q maker, and is a stunning example retaining 90% of its black finish, with a nice patina around the edges and absolutely no rust or corrosion. 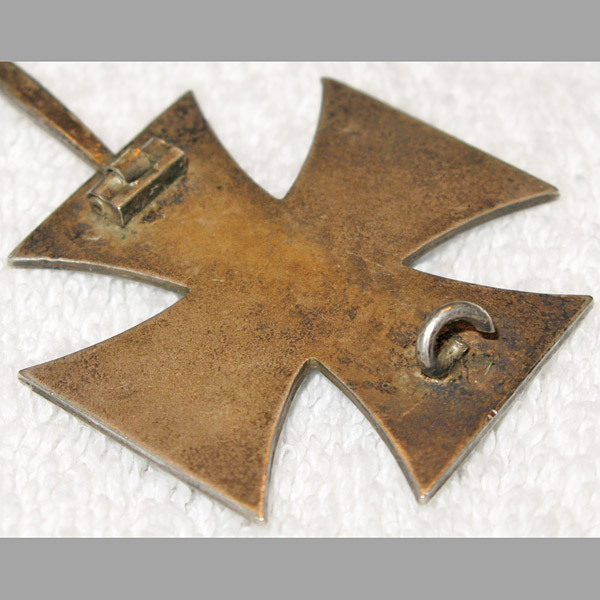 The reverse shows average age patina, with hinge, pin and clasp functioning perfectly. 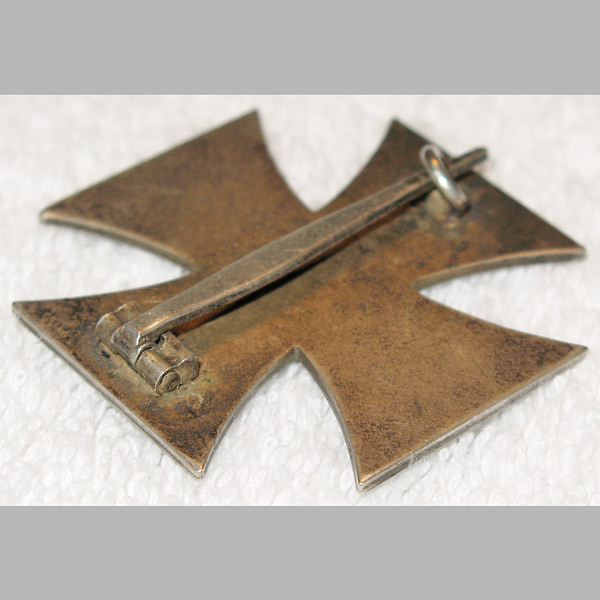 Iron Cross 1st class, EKI (Eisernes Kreuz I Klasse mit Etui) by Klein & Quenzer (65). 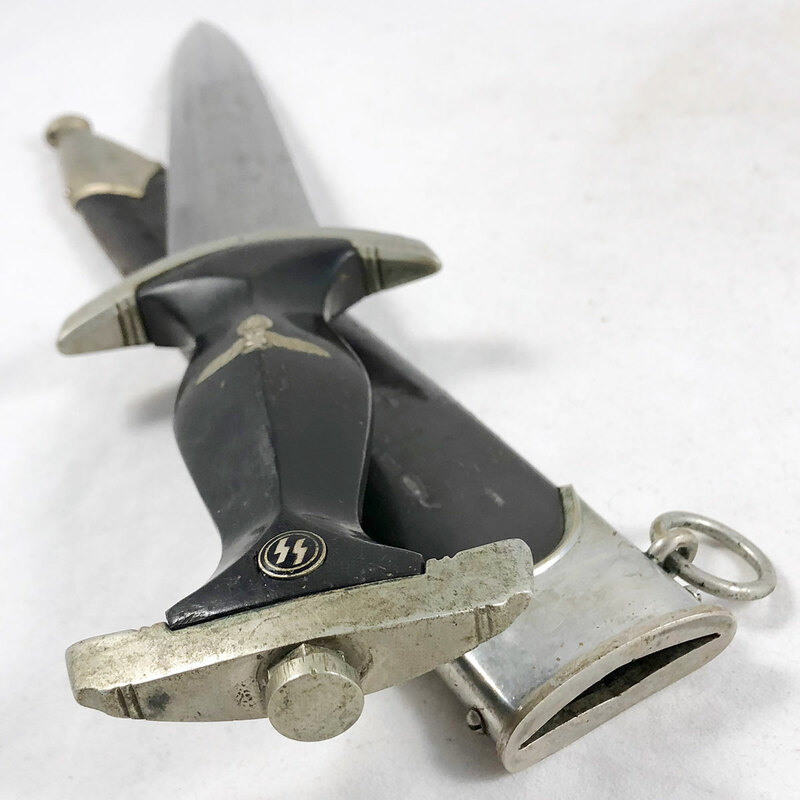 Though unmarked, this German World War II EKI bears all of the hallmarks of the K&Q maker, and is a stunning example retaining 90% of its black finish, with a nice patina around the edges and absolutely no rust or corrosion. 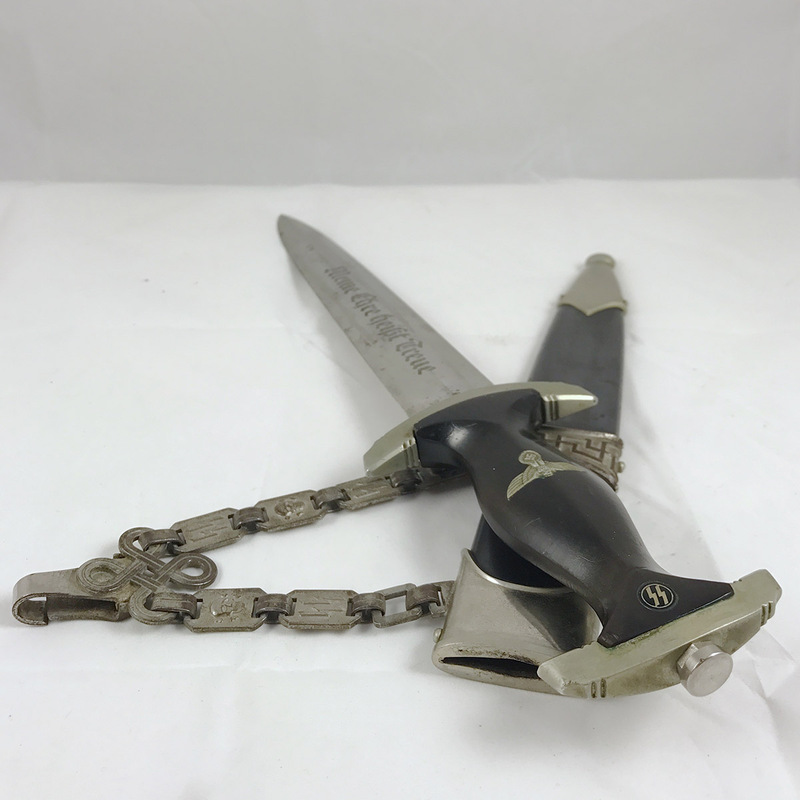 The reverse shows average age patina, with hinge, pin and clasp functioning perfectly. 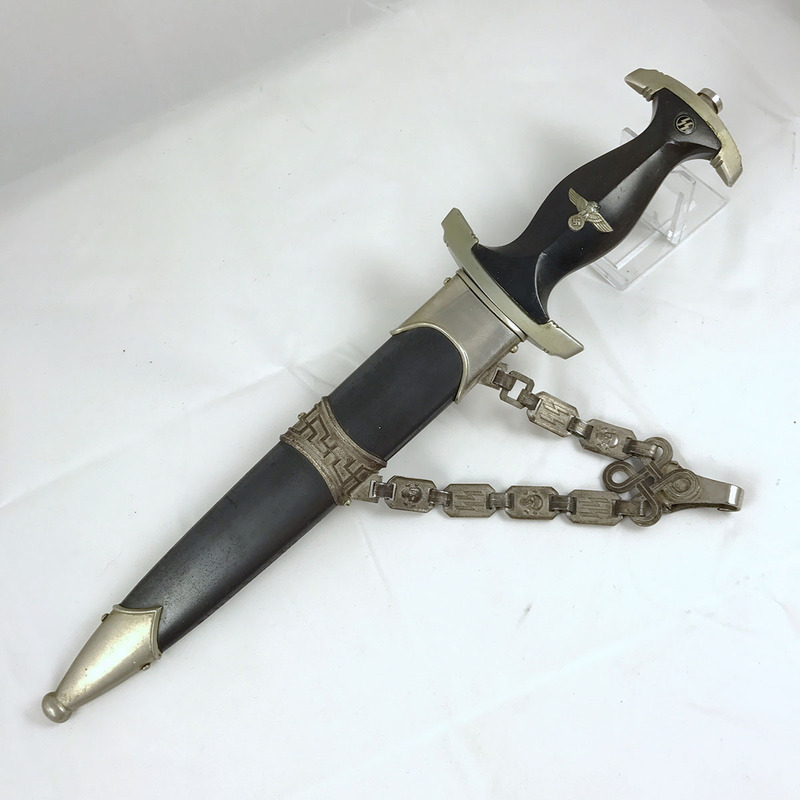 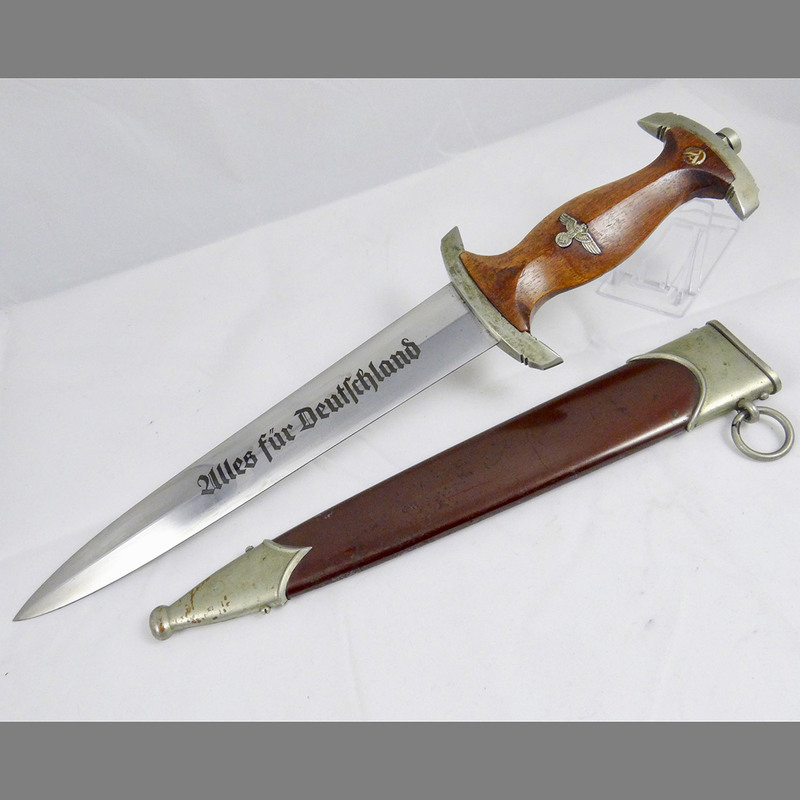 Here’s a Chained SS Type I dagger with some interesting qualities, priced to sell! 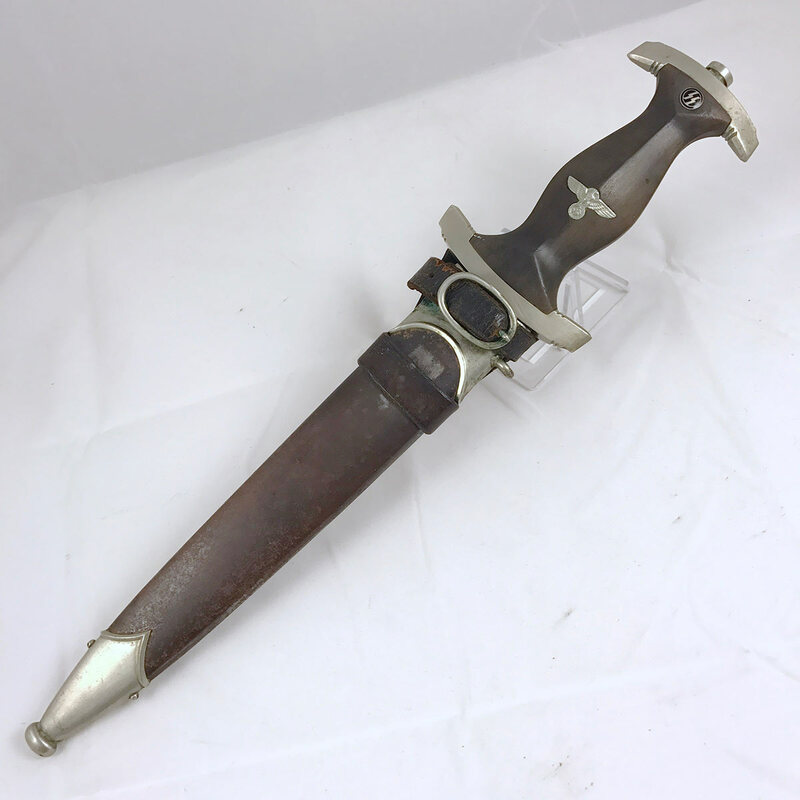 Perhaps the most obvious unique quality about this dagger is the use of SA guards. 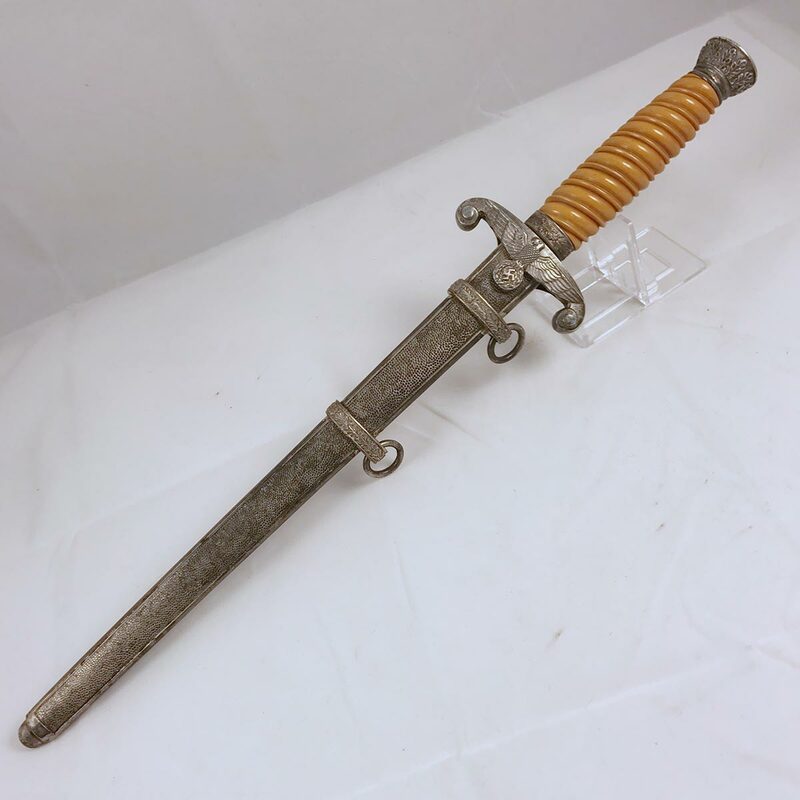 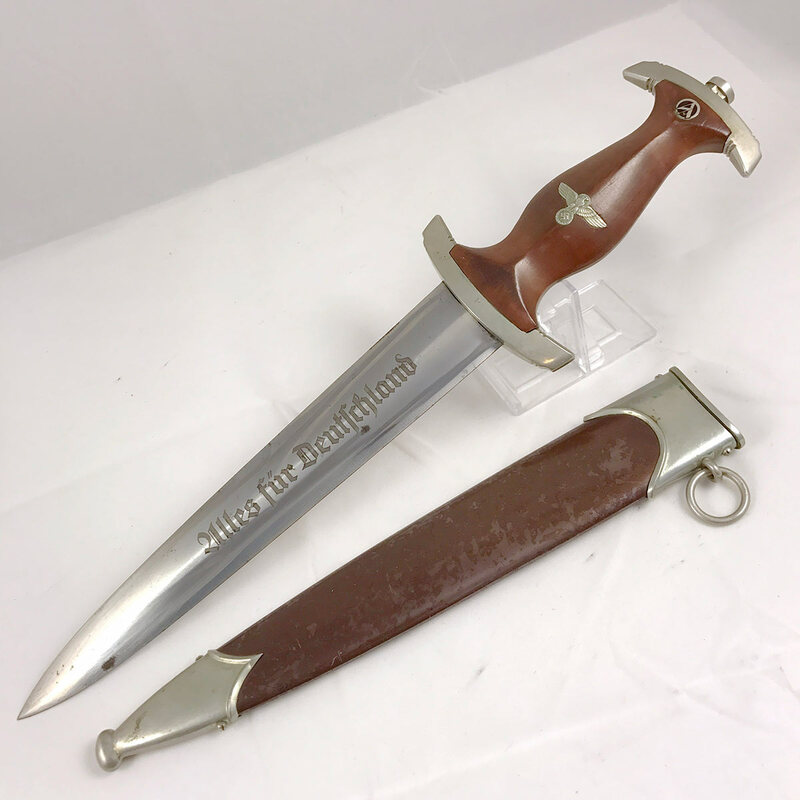 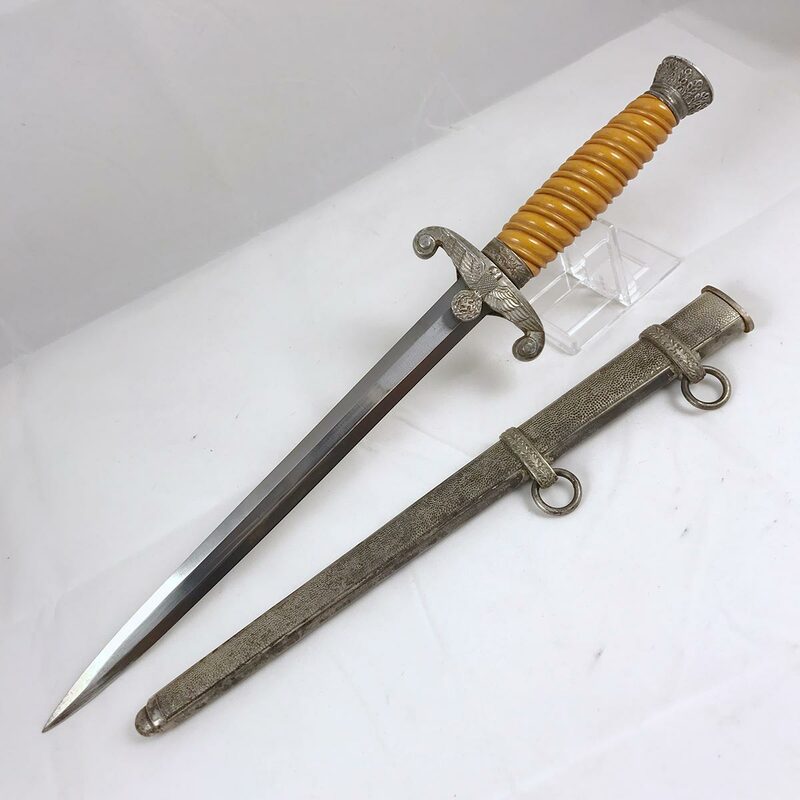 While not often encountered, many collectors have embraced the idea of surplus SA guards being applied to SS daggers in an effort to utilize the materials already sitting around in the factories. 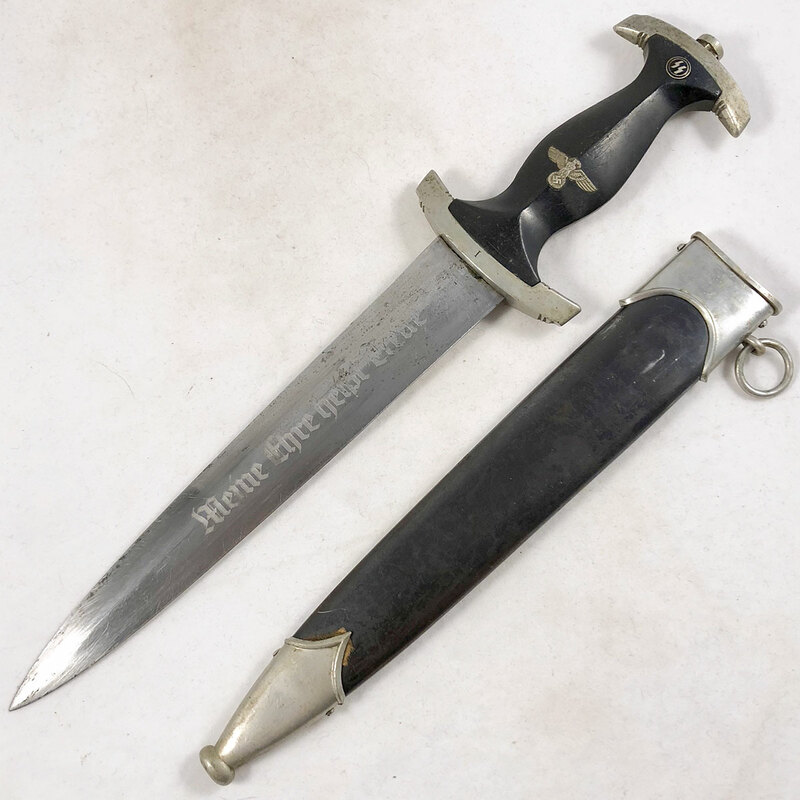 A truly exceptional early example of an SA Dagger by the C.G. 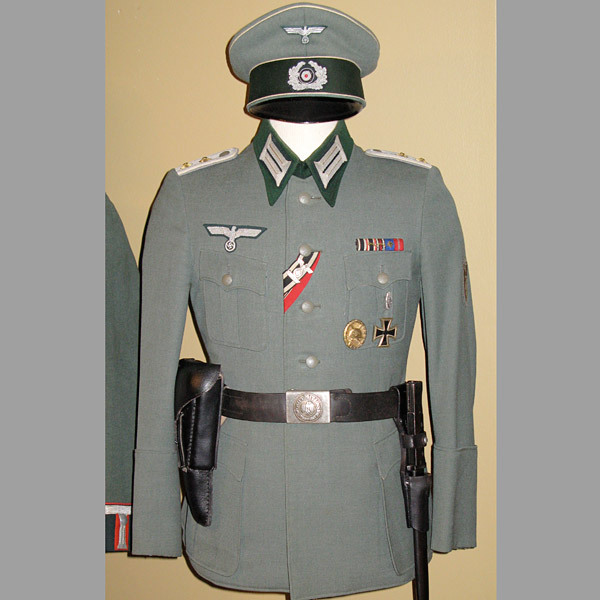 Haenel firm. 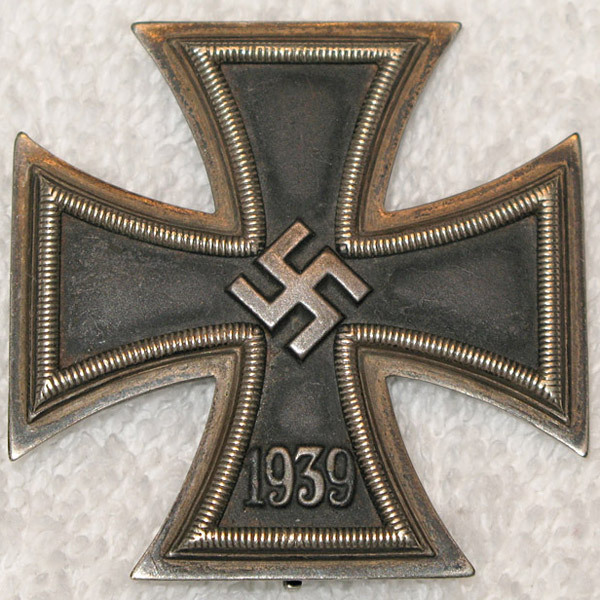 It doesn’t get much better than this in terms of overall quality. 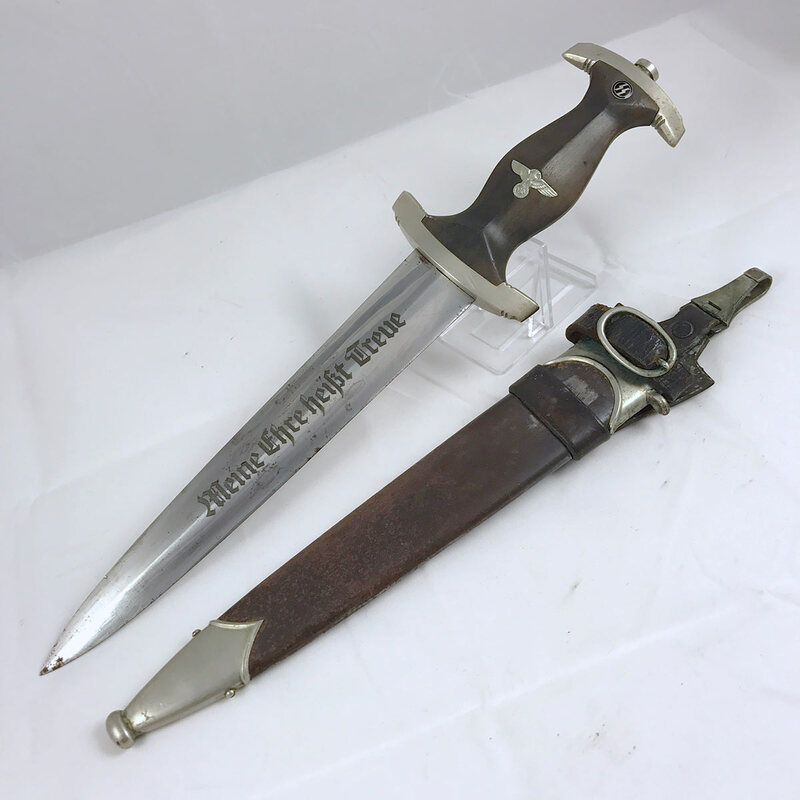 From handle to tip this is a real screamer! 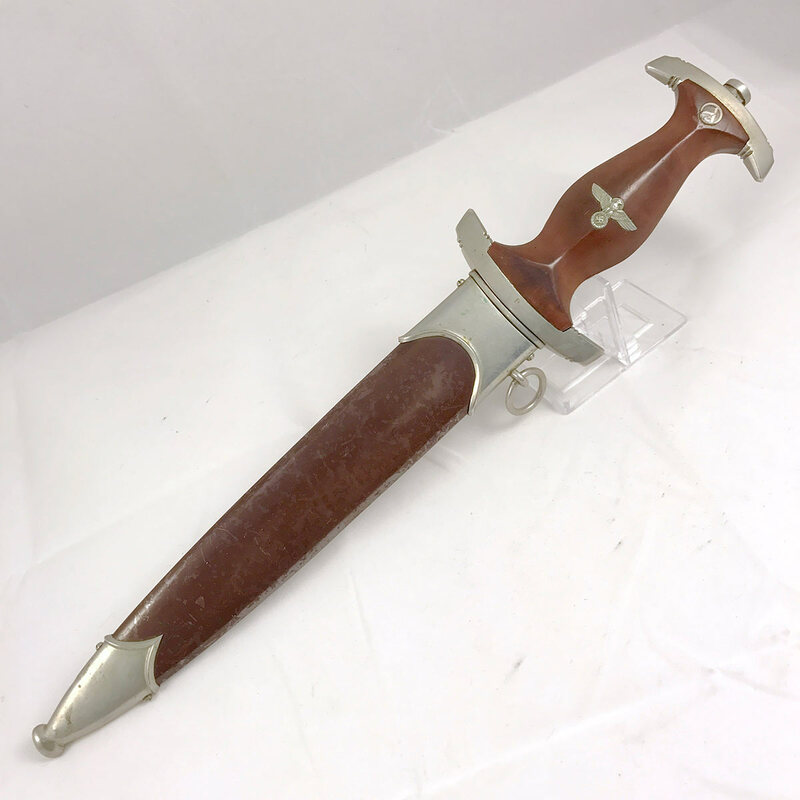 The nice walnut grip on this dagger shows some of the most striking grain of any SA daggers out there. 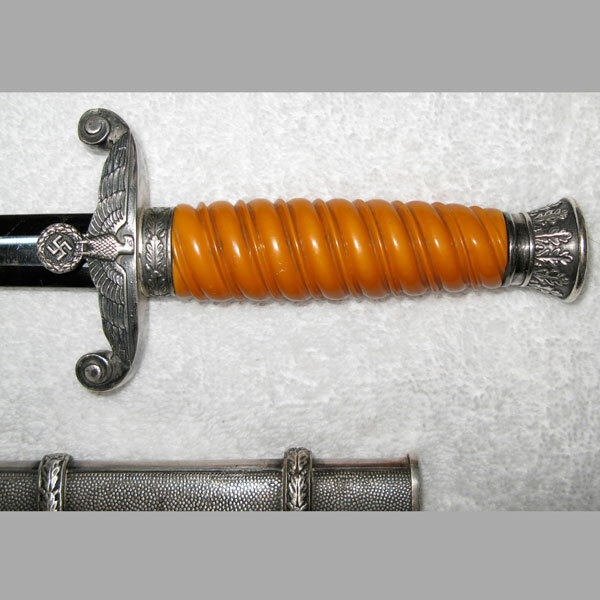 Very few dings or scratches can be found on the surface, and no notable cracks.